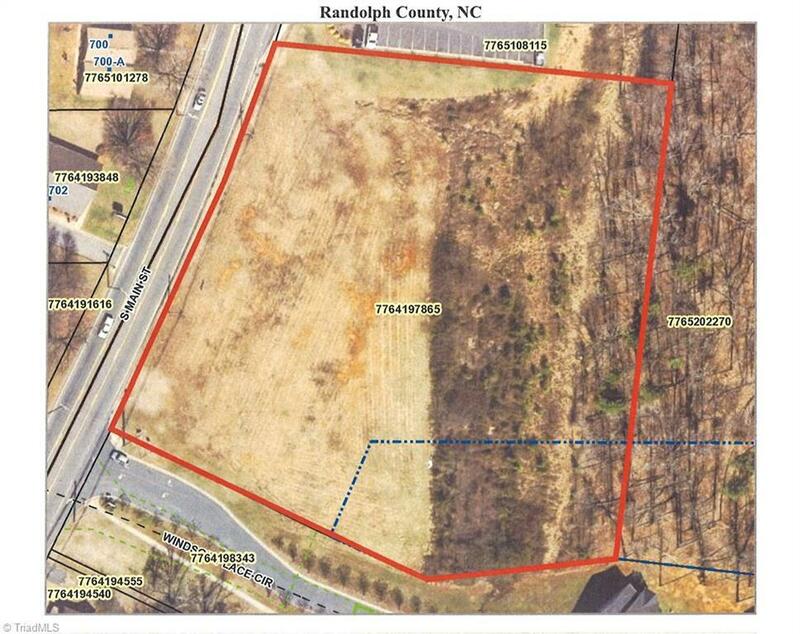 Great location in Downtown Randleman, 3.3 acres with wonderful visibility - Property has all utilities nearby and has sidewalk with 321' of road frontage. Mostly level with some sloping in the back area where property goes into the wooded tree area. Corner lot. Currently zoned for Multi-Family, can be rezoned for Business.